The Philippines is home to various remarkable coffee beans, but here’s the problem: The aging smallholder local growers don’t have the resources and support to get the word out there. This is what the Coffee Heritage Project, a private initiative that focuses on coffee production and its social, environmental, and cultural significance, saw in its eight years of delving into this matter. Along the way, the Coffee Heritage Project has expanded and given birth to a coffee shop (SGD Coffee), a coffee education institution (Coffee Science Center), and a coffee facility and hostel in Sagada, Mt. Province (Coffee Heritage House). This year, the initiative is launching Manila Coffee Festival, a three-day event that gives the spotlight to “coffee origins and the uniqueness of local cultures, food, and places to visit as a driving force for farm tourism,” or the Cup-to-Farm movement. It gathers coffee enthusiasts—both curious and well-seasoned and everyone in between—into an exhibition of more than 80 booths showcasing coffees, allied products and services, product demos, mini-workshops, local tourism, industry job placements, merchandising, as well as art, music, food, entertainment, and free specialty coffee tasting. It’s happening from Mar. 7 to 9, 11 a.m. to 7 p.m., at the World Trade Center. “The MCF, as I look at it, is more than just the biggest coffee party, but it’s a celebration of our differences and diversity of coffee culture in this country. This is a testament of how we use coffee in our lives and it is already a part of our social fiber… Like everything else, coffee belongs to all Filipinos,” says Rich Watanabe, founder and CEO of the Coffee Heritage Project, in a press release. The Philippine Coffee Championships national finals, a World Coffee Events-sanctioned competition, will also be held here. The winner will win the right to represent the country in the 2019 World Barista Championships in Boston. 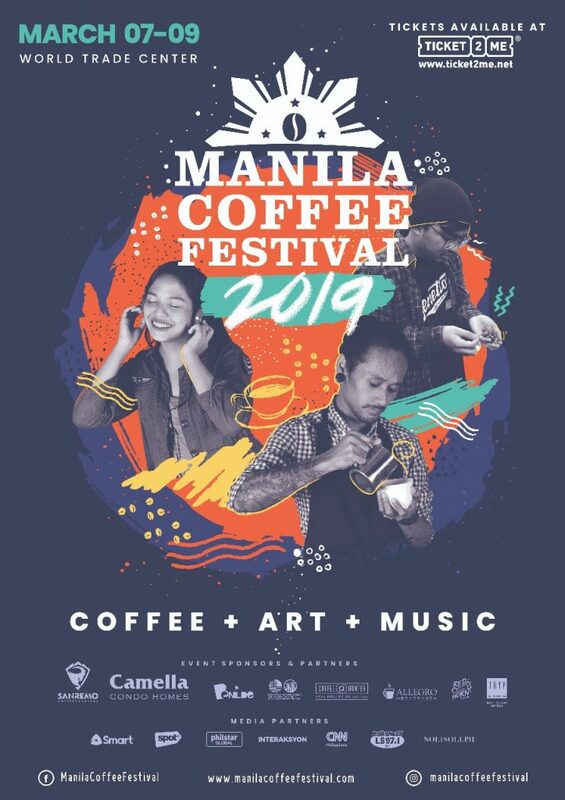 There will also be musical performances by The Cohens, Tide/Edit, Wish Sticks, and Ang Bandang Shirley at the fair patterned after its overseas counterparts like the New York Coffee Festival, London Coffee Festival, and Amsterdam Coffee Festival. To buy tickets, click here. For more information, visit its website.